Mickey Mouse, the most famous mouse in the history of animation, is preparing to turn the gaming world with the new Disney Epic Mickey 2: The Return of Two Heroes, a title which is the continuation of putting it out exclusively for Nintendo Wii and a half years ago. Although this time, the new Mickey Mouse adventure Wii will both like the other two major home consoles, Xbox 360 and PlayStation 3 . Before they hit the market this Disney Mickey Epic 2: The Return of Two Heroes next fall, we slowly learning new details of the game. On this occasion, the network has released a new video in which developers Disney Mickey Epic 2: The Return of Two Heroes have a little more about its history and creation, showing new images and details of its history. Recall that in this action-adventure game, players can immerse themselves in fantasy worlds, embodying both Mickey Mouse and Oswald the Lucky Rabbit, that it was the first cartoon character of Walt Disney. Both characters will return to Wasteland, a alternative world in which they will meet Disney characters that did not enjoy the limelight from 80 years ago. 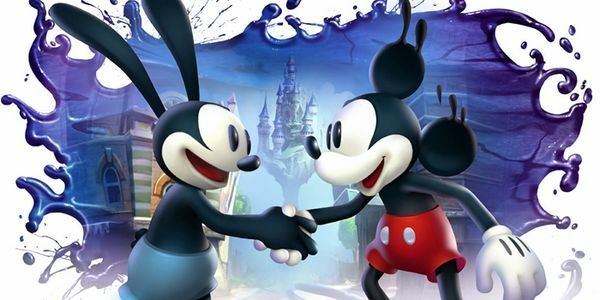 Oswald actually has a long history of legal wrangling behind them, still owned by Disney from the beginning, and then later lost the rights until 2006, when he joined the series Epic Mickey. Oswald has a remote control that to control electricity at will. It is possible that Max, the bunny adventure game Sam and Max, is inspired by Oswald as this wry vignette suggests. Mickey on the other hand, has a magic brush with which you can use paint and solvent, changing the look of the environments. 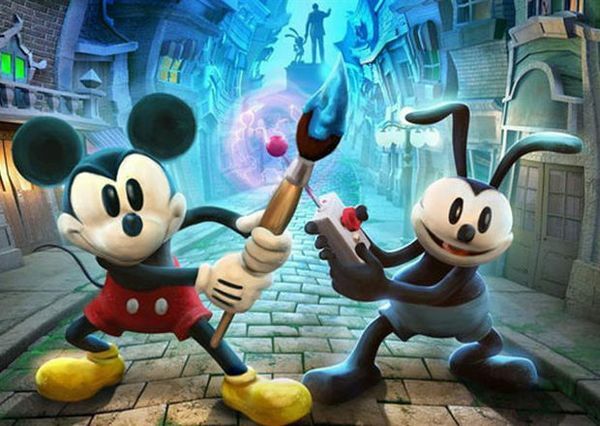 Although the player can venture alone in the history of Disney Epic Mickey 2: The Return of Two Heroes, its creators explain that at any given time, a colleague can pick up the controller to handle Oswald. If anything characterizes the Disney label music, with great songs in their animated films, which will also be present in this game, where Mickey and Oswald in the adventure will advance thanks to the music. In the first part of Epic Mickey, Wii players could handle the brush pointing the remote, which has given the idea to the developers to make it compatible with the PlayStation Move controller in PlayStation 3 version. As for the version Xbox 360, Microsoft has not disclosed even if the jeugo or may not be compatible with the Kinect sensor, although clearly looks like a game suitable for this. However it should be optional to allow the controller classic game with players who do not wish to move the sofa. We leave you then with the new video for Disney Epic Mickey 2: The Return of Two Heroes in Warren Spector and the rest of the development team, introduced the keys of the gameplay, the gameplay. It is fashionable to uncover through LinkedIn secret projects, and today, we do not know if it's done on purpose or by accident, but the truth is that media social network that gives a lot of play. Well, now is the turn to an employee of Sony, which has confirmed that it was already an open secret: PlayStation 4 is in development. According to the curriculum LinkedIn Imminger Frederick, the developer has worked in bookstores for the voice chat system PlayStation 4. Despite the many rumors that have surfaced in recent months, this is the first time an employee of Sony confirms the existence of the console publicly. This could also mean that the console finally finished calling PlayStation PlayStation 4 and Orbis, as pointed to recent rumors. Although it appears that the man wanted to rectify his "blunder" and changed the word PlayStation 4 for PlayStation 3, claiming it was a typo. Something funny, right? I sincerely believe that, realizing the impact of their curriculum, it has been modified to not risk their jobs. since, for all we know, there is great excitement right now about the Next-Gen. And even more so knowing that the company has been considering the rising sun throwing its new Microsoft system before kick yours. Those of Microsoft have today announced the Limited Edition of Halo 4 and the contents of this, great news for all those fans of the series. Perhaps the content of this edition is not that everyone was waiting and it will focus more on content ingame that "gifts". I can imagine, Limited Edition Halo 4 will look exactly as shown in the picture accompanying this note, a minimalist design which highlights the emblem of Nations Space Command (UNSC). The suggested retail price of this edition is $ 100 U.S. dollars is. No doubt those fans of Master Chief really been done with it, others will have to settle the issue "just average" of Halo 4 it will arrive in stores on November 6 this year.